10 Best SEO releases their list of top Search Engine Optimization (SEO) agencies with spotlights on Straight North achieving the top spot, GoBeyond SEO in second, position and Rank First Global in third place. This list considers client reviews, real-world statistics, and past efforts to decide which agency receives the honor of best SEO agency. 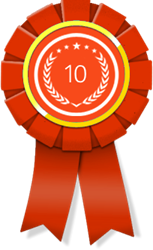 10 Best SEO, which is a premier repository of the best search engine optimization (SEO) companies in the United States—has chosen Straight North, GoBeyond SEO, and Rank First Global as the top three winners in the Top Charlotte Web Design Company category. They are ranked #1, #2, and #3, respectively. As part of the San Francisco-based 10 Best Network LLC, 10 Best SEO is aptly named for ranking and rating digital marketing companies that offer search engine optimization (SEO) services. Using attributes such as reviews, website traffic, client and online research, and previous awards, 10 Best SEO select the agencies that are most likely to provide people their money's worth by coming to them for boosting online visibility and search engine effectiveness. Operating a headquarters in Illinois and another office in North Carolina, Straight North is the top SEO agency in Charlotte. Straight North is notable for its enviably diverse industry experience; it has worked with clients from more than two dozen industries, which include agriculture, hospitality, non-profits, health and wellness, financial services, real estate, construction, and technology. The agency's SEO clientele has included Revpart, Go Fan Yourself, Diamond Solutions, and Performance Card Service. Being the company ranked #2 in the Charlotte area, GoBeyond SEO is notable for solely focusing on the legal field. As a leading SEO agency, GoBeyond SEO formulated a seven-step legal marketing blueprint to ensure successful promotion, sales, and profit of law firms' products and services. GoBeyond SEO's clientele has included Marcellino & Tyson, Harden Law, and Sabrina Winters. Rank First Global, ranked #3 by 10 Best SEO, has been around since 2011. What makes it stand apart among other top Charlotte web design companies is its laser-focused assistance to smaller, local businesses. With affordable SEO services, clients who are not on the level of Fortune 500 companies can achieve increased website traffic and possible boost of sales and revenue. More specifically, Rank First Global provides local SEO services for the client to successfully distinguish itself from like-minded businesses or professionals within the same geographical area. Consequently, Rank First Global is a favorite of plumbers, electricians, remodelers, HVAC workers, and moving and handyman companies. Clients have included Ayon Heating and Air Conditioning, Banner by Today, WF Smith, Vista Homes, and Dynamic Air Services. For more information, please visit http://www.10bestseo.com.